Basic Training #1 - FOCUS and attention! 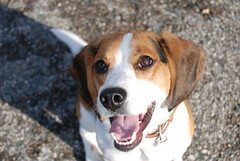 I'm not sure how long we'll have Elmo for, as he's generated a lot of interest and applicants... but we're not letting that stop us from helping him be the best Beagle he can be. 1) Looks at you instantly when you call their name. 2) Will continue to look at you with strong interest until released. 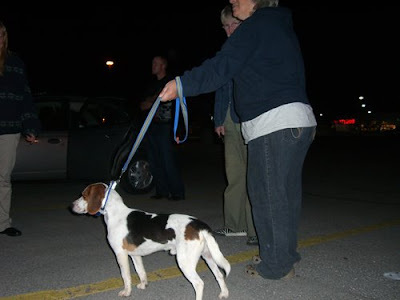 If you can teach your dog the ability to focus, all other basic obedience commands (sit, stay, come, down, etc.) will come easy. sure elmo is still probably scared and learning to adjust to his new life (he was found as a stray), but so far he is far less anxious than duke was when duke started his new 'urban' life with us. i get so furious, frustrated and sad to think that someone gave elmo up. if barlee's didn't work hard to find foster families, elmo and the other 14 dogs would have died last week. 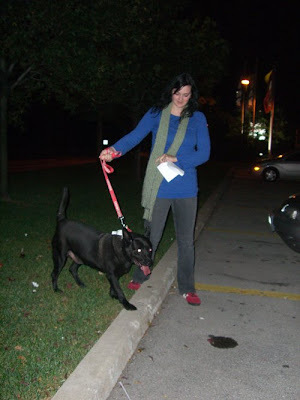 in fact, due to the pit bull ban in ontario, one dog was put down b/c she couldn't be brought into the barlee's program. ... but i have to look forward. 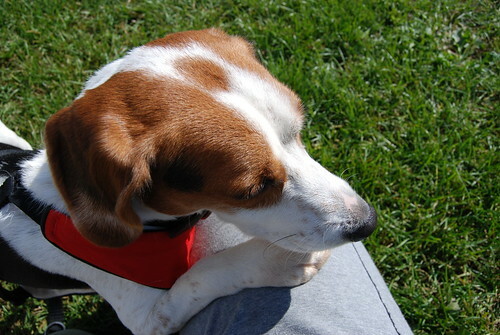 elmo is going to be the first of many beagles that we would like to foster. 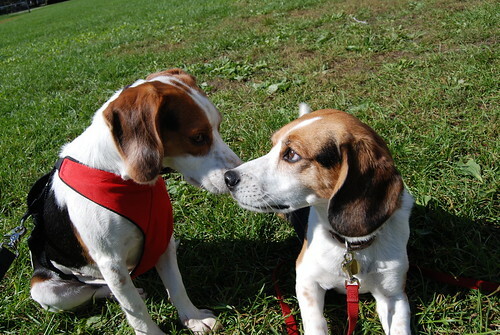 and the thought of bringing love to future beagle parents helps counter the negative, sad feelings. 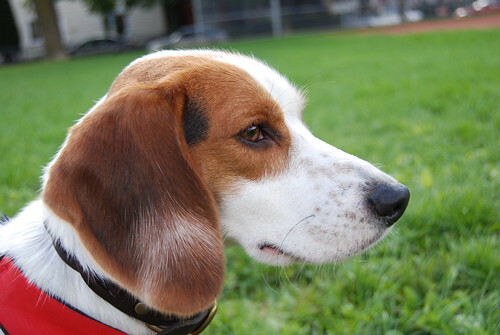 through the agency that helped us adopt duke, we were lucky enough to be chosen to foster elmo the beagle. through many volunteers and a lot of big hearts, we picked up elmo tonight, who had a very long day driving up here from ohio. the other dog that was picked up today is sylvie. both dogs have been rescued from a shelter that was over capacity. these two dogs were among 11 that were scheduled to be put down last week. it seems like all 11 dogs will be saved thanks to the tireless volunteers at barlees for organizing this spectacular rescue operation!! from liaising with the shelter, to finding appropriate foster families for these dogs, the work that the barlees volunteers do is absolutely amazing.